Beautiful & GLAM by Rawlins Bio Seleza byrawlins cervical cancer GLAMpreneur2015 haid hanis haizi protege health kanser kanser pangkal rahim kanser serviks menstrual Miss V pantyliner sanitary pad sihat testimoni tuala wanita Apa khabar #MissV? Apa khabar Miss V anda? Terngiang-ngiang lagu Apa Khabar kan..
Apa khabar #MissV saudari sekalian hari ni? Moga semuanya berada di dalam keadaan yang tip top dan sihat sahaja kan. Almaklum la, #MissV nie a very sensitive spot untuk wanita. As #MissV is readily moist, it is a perfect incubation ground for the bacteria/ fungus to keep on spreading and eventually results in so many infections to the area (thus the smell, itchniness etc). And eventually, it will spread through out your body via blood circulation. And ladies, guess where the bacteria comes from? Mostly from your handbags! Why? Sebab ladies normally store their spare sanitary pads in their handbags (and I mean handbags) as ladies ada banyak handbags kan. At times, the pads are left inside the bags for God knows how long kan. So, apabila dah disimpan lama dalam handbag, do you know when is the expiry date of your pads? WHAT? TAK TAHU TARIKH LUPUT PAD ANDA? Cuba tengok pada packaging - mesti ada kan. APA? TIDAK ADA TARIKH LUPUT? Mustahil la produk kesihatan tidak ada tarikh luput kan! And, it made you wonder, berapa lama agaknya anda dah simpan pad tersebut dalam handbag anda kan? Dan biasanya single packaging pad tersebut bukannya telap udara pun kan yang mana membolehkan segala macam kotoran/ habuk masuk dan melekat pada pad tersebut. And when your 'friend' comes, tanpa usul periksa, anda terus menggunakannya pada #MissV anda. Yes. Now you are imagining all those dusts and bacteria accumulated on the pad, is now on your #MissV! This is the beginning of all the miserable happenings to your #MissV. Dear friends, all these can be avoided if you just be extra careful and choosy as to what you put on your #MissV. Just be as choosy as you pick your shoes and your dresses ladies and it could help you saving your own lives. 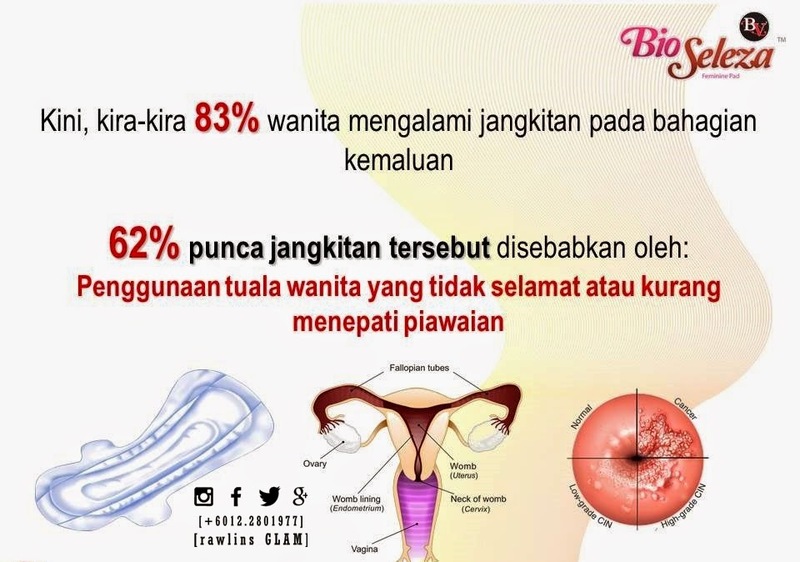 Bio Seleza boleh membantu anda semua mengurangkan risiko daripada jangkitan serviks yang mengancam nyawa wanita di seluruh dunia. 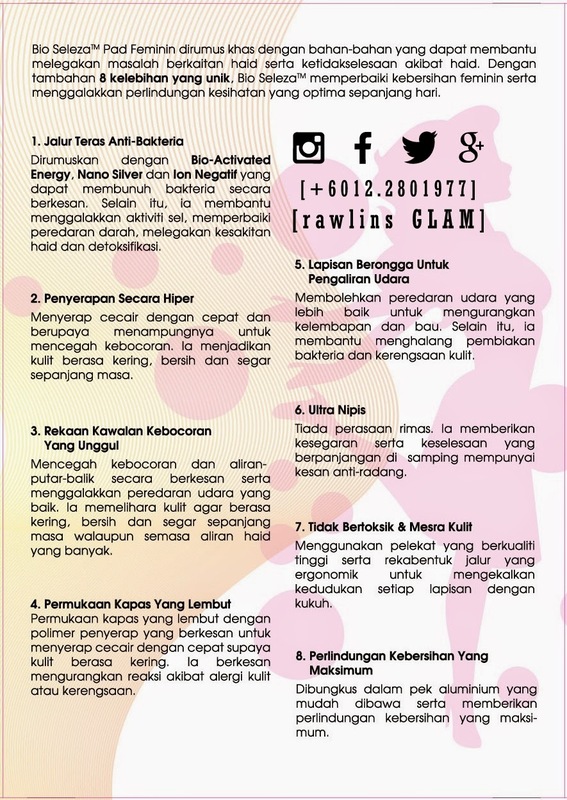 Untuk info lanjut berkenaan Bio Seleza, boleh hubungi saya. InsyaAllah akan saya share sedikit ilmu berkenaan produk ini dan kesannya pada kesihatan Ibu, Adik, Kakak, Awek dan Isteri semua. Wonder why such a product is not easily available in pharmacies yet! This is something every girl needs to try, and yes it is important for us to select a proper product for our #MissV. Thank you for sharing such information. I think more women should know of these in-depth details. Have not heard of this brand before, by the way. wow this is scary, thanks for sharing this. Shall let my friends know of this too. Thanks for sharing such informative post. Not only girl knows better but guys too! 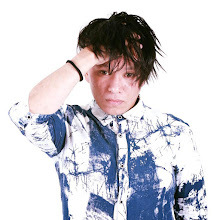 A special brand that you can get from me. Contact me ok Kylie. Sometimes far too long right Fish. This brand can only get from authorised agents, like me. Scary right to put all that bacteria on. Bacteria comes from handbag ? First time hearing it but good infor to us. hygiene is of utmost importance especially when dealing with sensitive areas of our bodies.. :) same goes for the guys as well. ya = = im the one too !! Looks like sanitary pads has a lot of impact on women's V. Must be careful with the types of pads we use also. oh so scary the pics...can i skip that? i takut. but rawlins you are so informative in this area.